The trials and doubts are brought forth by Ahlul Bidah Wal Ahwaa [the people of religious innovation and desires]. And the call to Allaah-to the Book of Allaah, adherence to the Book of Allaah and the Sunnah-is the call that will unite all the Ummah. All the trials, splitting and (blameworthy) differing came from the path of the people of falsehood and the people of trials. And they [i.e. the people of baatil and fitan] do not keep quiet- they spread their falsehoods in their newspapers, magazines and audio tapes, while wishing that the voice of truth should be silent. In their view, the voice of truth is what should be silent and the voice of falsehood should be raised and spread in the earth! Do they remain silent?! 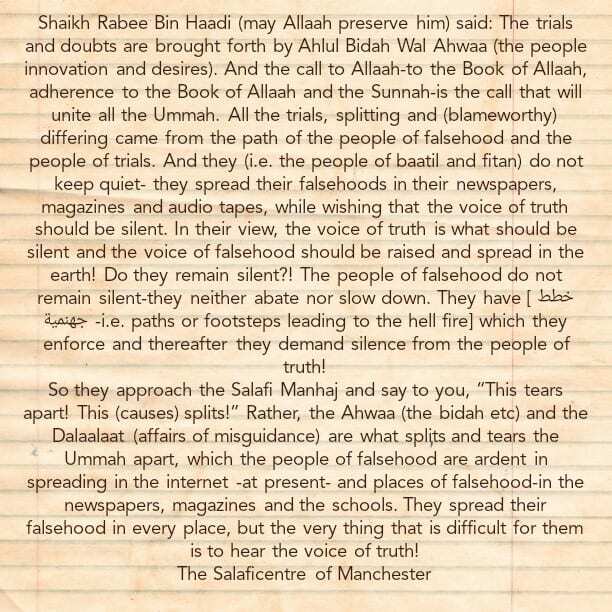 The people of falsehood do not remain silent-they neither abate nor slow down. They have [ خطط جهنمية -i.e. paths or footsteps leading to the hell fire] which they enforce and thereafter they demand silence from the people of truth! So they approach the Salafi Manhaj and say to you, “This tears apart! 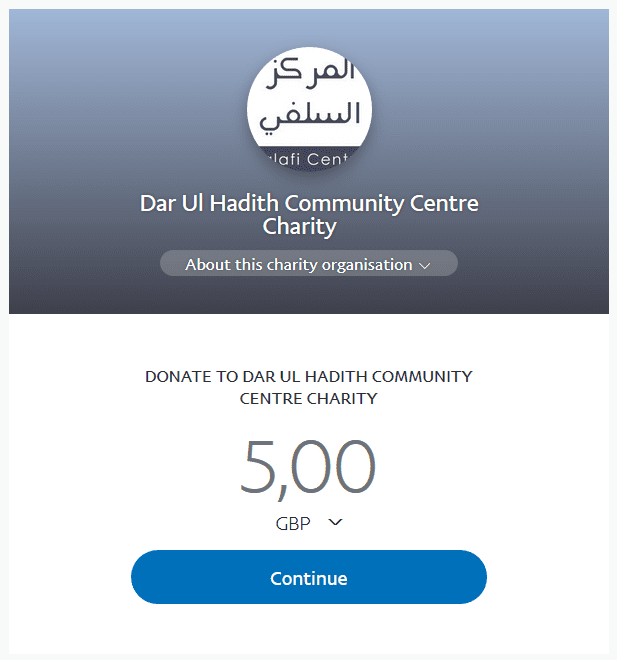 This [causes] splits!” Rather, the Ahwaa [the bidah etc] and the Dalaalaat [affairs of misguidance] are what splits and tears the Ummah apart, which the people of falsehood are ardent in spreading in the internet -at present- and places of falsehood-in the newspapers, magazines and the schools. They spread their falsehood in every place, but the very thing that is difficult for them is to hear the voice of truth!